Big Flows and Big Streamers! Big flows continue around the clock at Bull Shoals dam and most days around 20k cfs. Been having good success with our big streamers in 6-8" size. Great Lakes Deceivers Jointed in glow white, cotton candy and chartreuse have all produced. Also Slop Mop in 6" size. 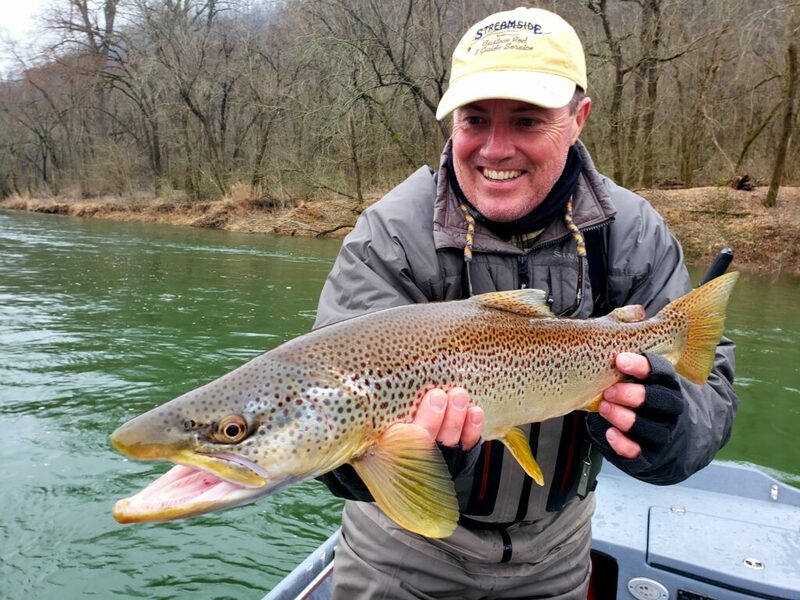 Got to these flies down and best line for this is the Airflo Streamer Max Shovelhead in 330grain. Search out the shallow water now - sunken island, sunken lawns and floodings. 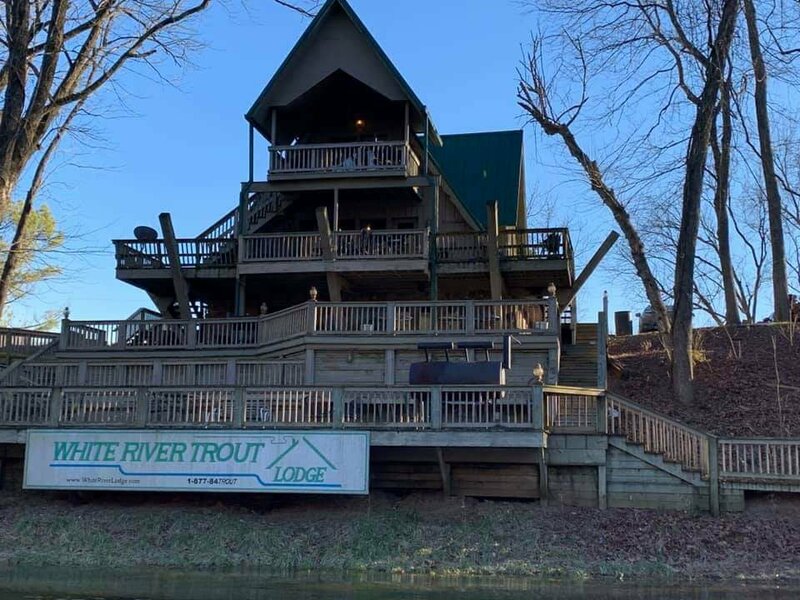 The last two winters we have stayed on the banks of the White River at this wonderful lodge. No more searching for the future as we have found the prefect place for our future stays. Bill and Joanna own a true gem just upstream of the The Narrows and I highly recommend it to anyone looking for lodging in this area. With 3 levels that can have seperate entrances or openned all up it's the ideal place for 1 person to groups of 12. Lots of deck space for hanging out and enjoying the river. We provide meals right at lodge for our groups and prepare right here. Smoked pork and chicken, bbq chicken, lasagna, homemade chili and soup, corn beef, spaghetti and grilled steaks and pork are on the menu. For those cold nights you got to have nice fire place! High Water Continues In Northern Arkansas. 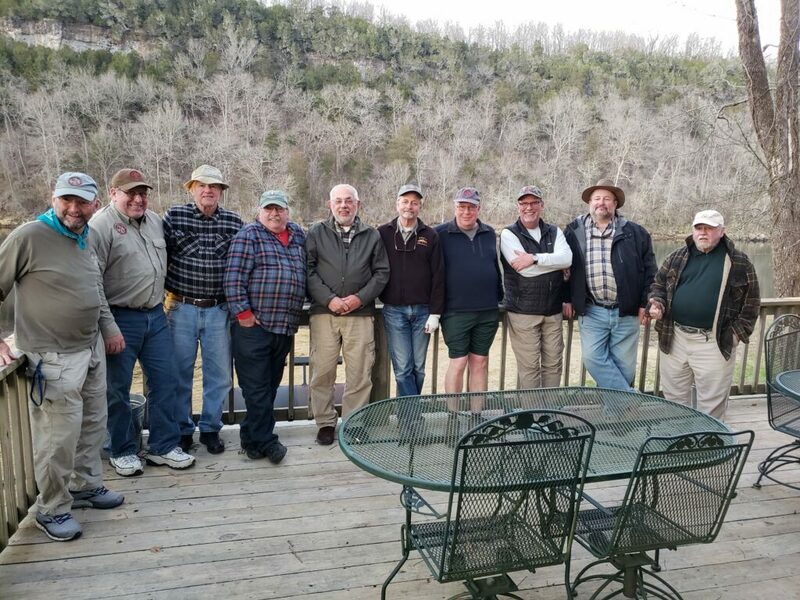 Had a great group of guys from the MFFC here this week and had some good fishing on the White and Norfork River! Ideal weather in the 60's and had some good streamer and nymphing action. Here are a few photos with lots more on our Facebook page. Lots Of Rain & Lower Flows On The White River. 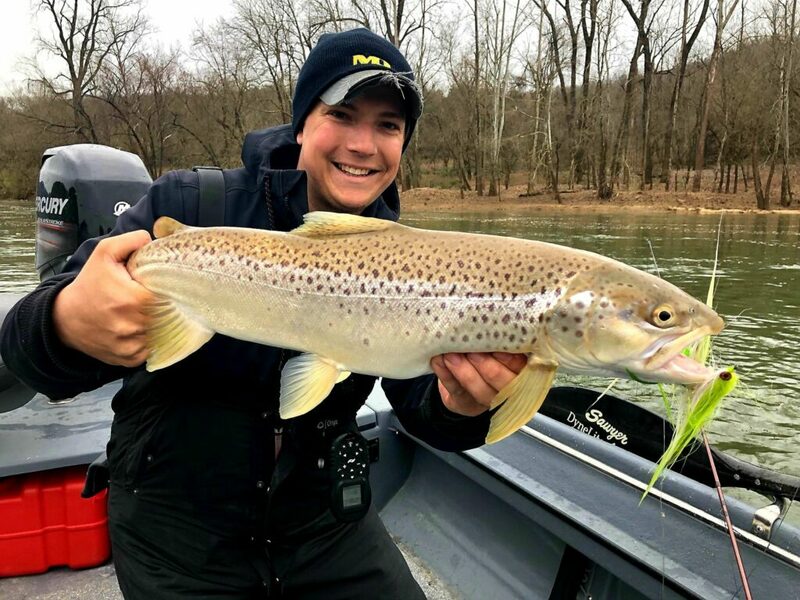 Stripping Streamers and Hunting For Big Browns!